The Northeastern Aegean Islands, scattered off the Aegean coast of Asia Minor, form a rather arbitrary archipelago. These islands, the most remote of the Greek islands, are reachable by ferry or plane, and are well worth the trouble to get there. They figure prominently in Greek mythology, home to several gods and goddesses, as well as some famous ancient Greek, including the classic poet Homer. They’re filled with antiquities left by Roman, Greek and Ottoman rulers. Oh, the beaches are pretty great, too. Ikaria, located 16 km southwest of Samos, owes its name to Greek mythology since Icarus, the son of Daedalus, fell into the nearby sea. Its biggest city, Argus Kuryokos is today’s administrative capital of the island, while Oenoe and Evdilos are its historic capitals. Inhabited since 7,000 BC, the island is rich in archeological sites and beautiful beaches, but the main draw just may be the laid-back lifestyle where centenarians are common, perhaps due to the simple diet. Samothrace, also known as Samothraki, is another Northern Aegean island that is steeped in Greek mythology where it is referred to as Aeolus. Mount Fengari, the highest mountain in the Aegean Islands is located here, on one of the most rugged islands in the Aegean. Local legend has it that Poseidon watched the Troy war from here. Visitors rate the Church of Holy Mary Krimniotissa, which sits on a cliff overlooking the water, as the island’s top tourist attraction. Kipos Beach, with its sand and crystal blue water, is the top beach. Travelers who prefer a less touristic scene may enjoy Lemnos Island, which is less developed because of the difficulty in getting there from Athens. Located between Lesbos and Thassos, the island has sandy beaches that provide plenty of privacy, making them top tourist draws. Hungry visitors will like this island because of the food and wines produced here. They definitely will want to try Kalathaki Limnou, a cheese made from sheep and goat’s milk, and Muscat wines, which are putting the island on the wine map. 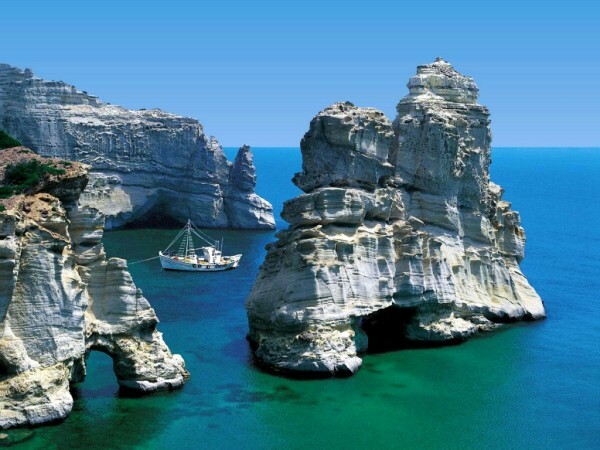 Chios is a mountainous kidney-shaped island located off the coast of Turkey. It’s known for its mastic gum exports, but probably more famous as the birthplace of Homer. Viontados, a suburb of Chios the city, points to Teacher’s Rock as proof the famous author was born there. Other sites on the fifth largest Aegean Island include a medieval castle built during Venetian and Ottoman rule, and Nea Moni, an 11th century monastery. Visitors also will enjoy walking through traditional villages that have been around since the 14th century. 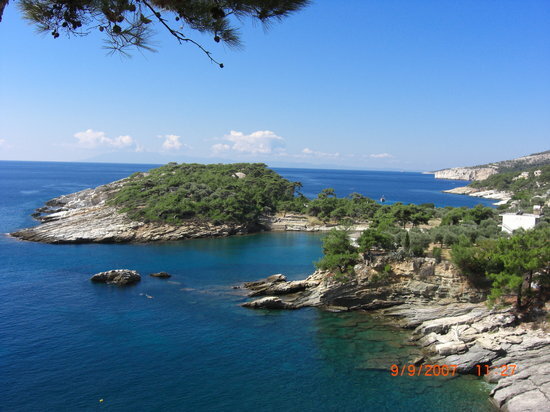 Thasos is known as the Green Island of Greece because of its many varieties of large pine trees. In ancient times, the island was known for gold and marble; it is still known for its white marble, which is shipped around the world. The island is also known today for the wine and honey it produces, as well as its beautiful clean beaches. Reachable by ferry, Thasos is popular with bikers traveling between quaint villages; helmets are required. There are also several archeological sites, including the remains of an agora, theatre and acropolis. Travelers to this third largest northeastern Aegean Islands will want to brush up on their Greek mythology, as it was named for its patron god, Lesbos. Many of its towns are named after the daughters of Macar, the island’s first king. Sappho, who was born here, directed many emotional poems toward women, giving rise to the term lesbian, making the island popular today with gay travelers. Old historic churches, castlesvand other ruins can be found here. A beautiful place is Molyvos, a traditional village on the slopes of a hill with excellent views of the Aegean Sea and a Medieval Castle on top. 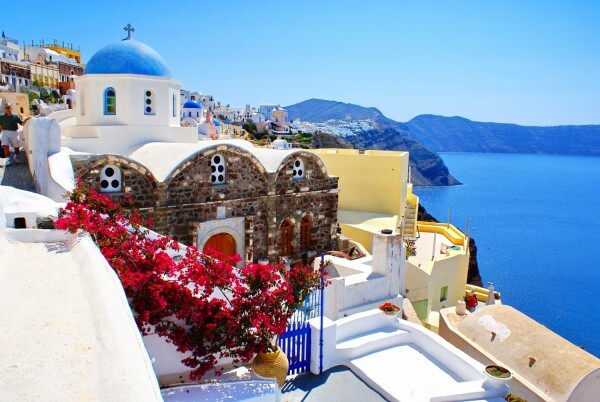 The island is the main producer of ouzo, a Greek liqueur that tastes like licorice. Samos is a picturesque island located north of Chios that is as famous for its past residents as it is for its stunning beauty. Samos was the home of Pythagoras, the father of mathematics; Epicurus, a philosopher; and the birthplace of the mythical Hera, the sister and wife of Zeus and the goddess of women and marriage. Samos has many great beaches, either developed or totally secluded. Hiking in the mountains is a good place to experience the island’s lush and varied vegetation.